Tri-County CAP’s Tamworth Dental Center is a modern dental practice that offers you full-service oral health care. 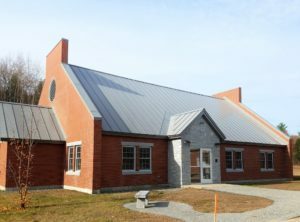 Located at 448 B White Mountain Highway (Route 16), 0.8 miles south of Chocorua Village (Routes 16/113), we are on the campus of the Tri-County Community Action Program Resource Center, right next to Eastern Propane. We have an excellent, friendly, experienced staff, highly qualified to offer you the best oral health care in a clean, state-of-the-art facility, using all new equipment, electronic records, and low exposure digital x-rays. We make your visits as comfortable as possible. The Center is also handicap accessible. We welcome all new child and adult patients, whether you be self-paying, fully insured or covered by NH or Maine Medicaid. We also accept most major adult and family dental insurance plans (Delta, Met Life, etc.). We participate in Care Credit time payment plans and we offer a reduced rate to low-income individuals without insurance. In most circumstances, payment is expected at the time of visit. As part of a statewide outreach to young children, we operate the School Smiles program which offers in-school education and oral health screening and referrals to children in southern Carroll County. Please call our office at (603) 323-7645 (323-SMILE) to schedule an appointment or if you have any questions, are experiencing a dental emergency or would like to discuss your child’s or your own oral health care. Sliding fee discount program available to uninsured and underinsured patients upon receiving income verification. Call for eligibility requirements.